Pattern Description: Flowing zippered arches enclose 6 raised ribs. 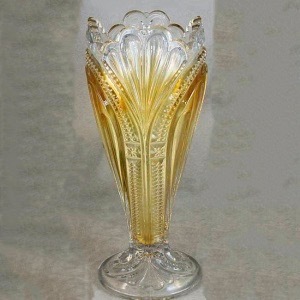 This pattern was made by the Bryce Higbee Company circa 1905. It is also known as Ribbed Ellipse. 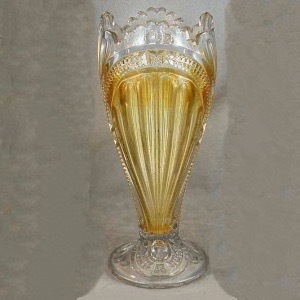 The vase stands about 9 3/4″ tall and is iridized only on the interior. One sold on eBay in 2013 for $274.